Make this Fun Halloween Disney coloring page come alive with great colors. You can make it even more fun if you add glue and glitter to this picture. 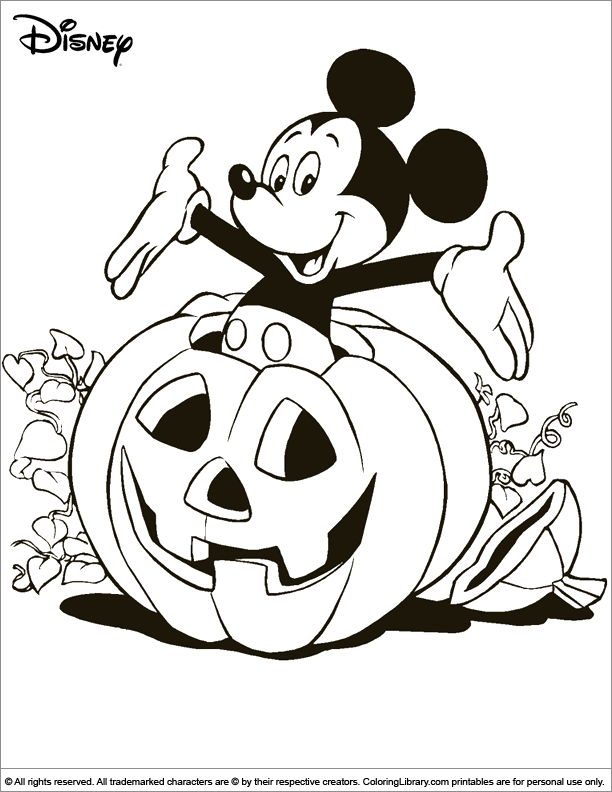 Click on the print button so you can start coloring this fun Halloween Disney picture. It is a great idea to get a stack of Halloween Disney coloring pages for your kids coloring book. You will find many more of your favorite coloring pages in the Library.